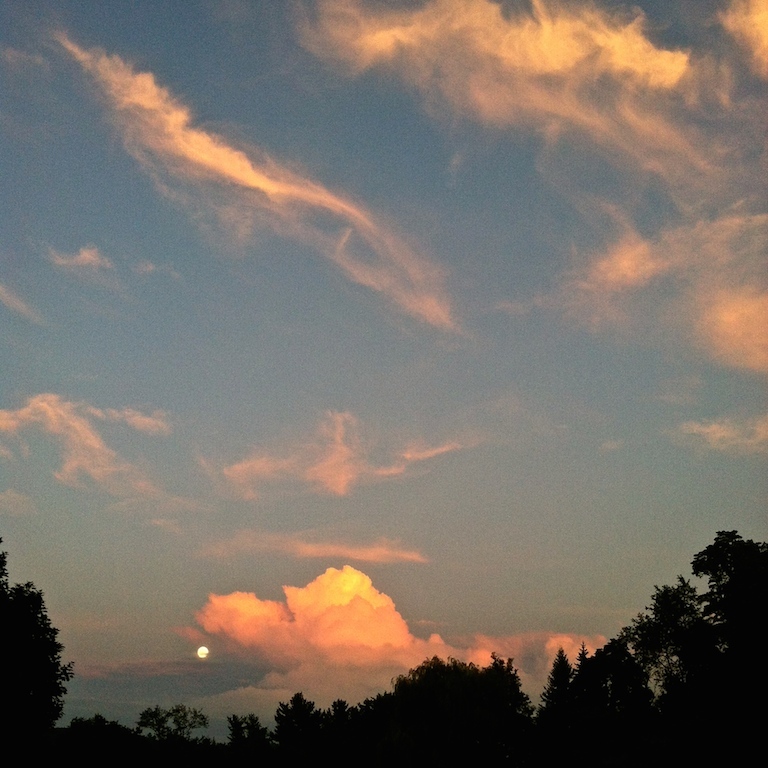 Aglow in the sunset at yesterday’s low spring tide. 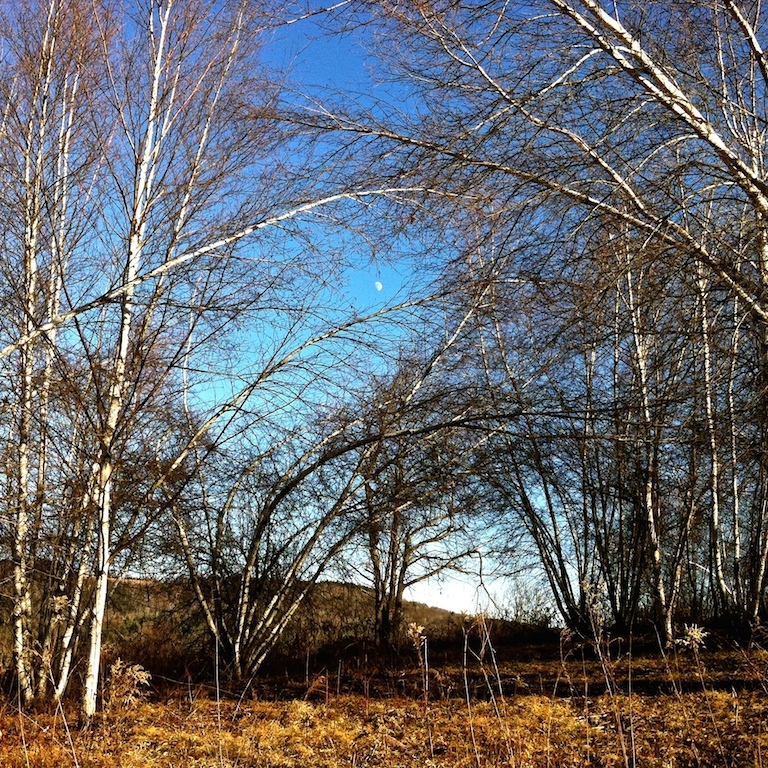 A winter moon rises over weary young birches, huddled atop an overgrown West Leyden, MA hill farm. 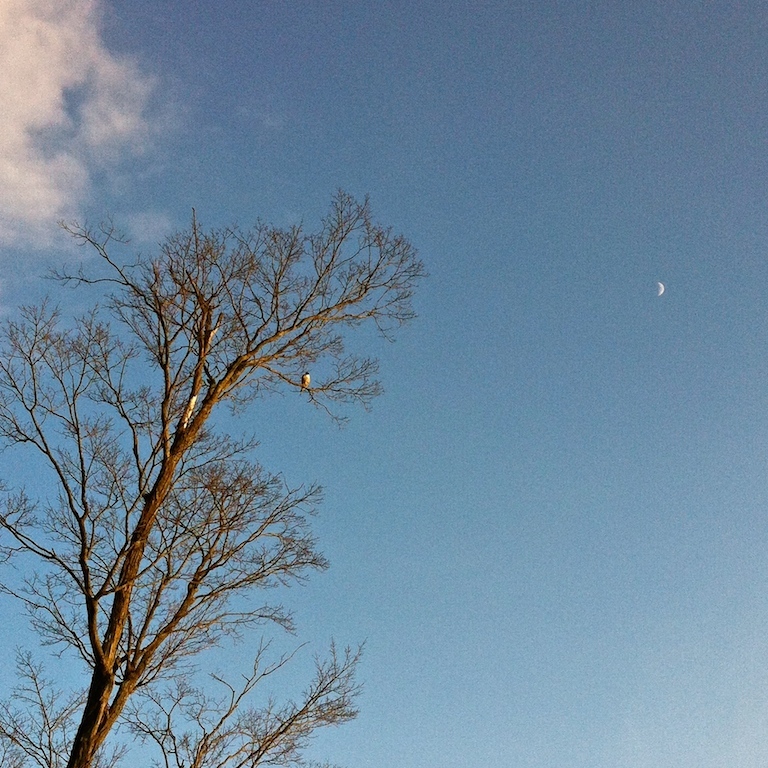 From the top of a venerable sugar maple, a red tail watches the December meadow at Riverview Farm in East Putney. 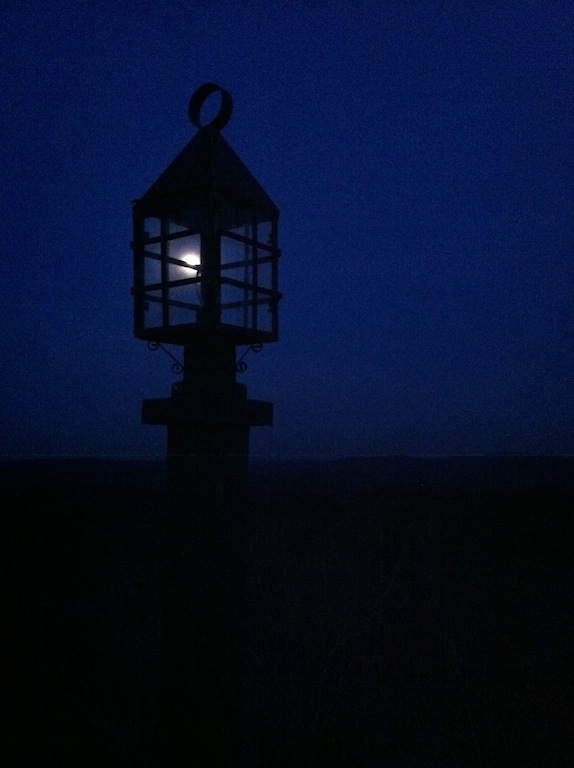 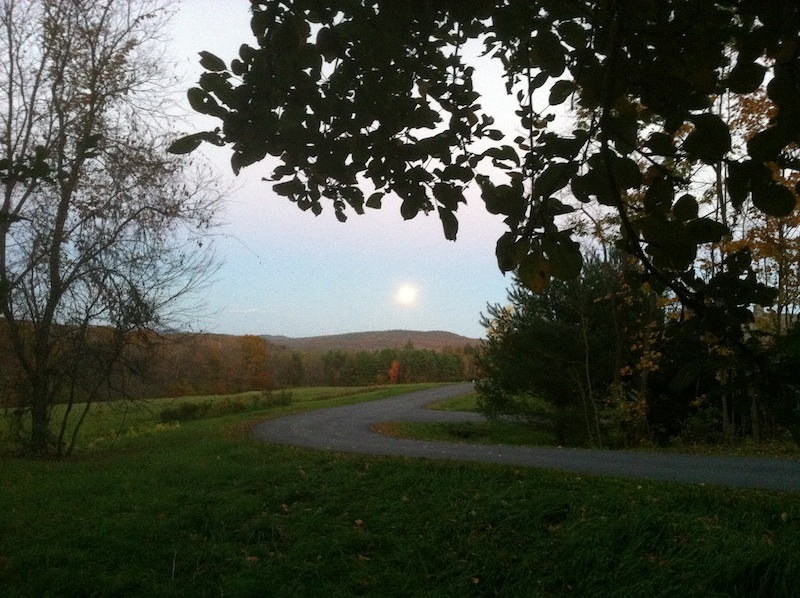 The full moon is caught aloft in a dark lantern atop Hogback Mountain in Marlboro, Vermont on a cool spring night. 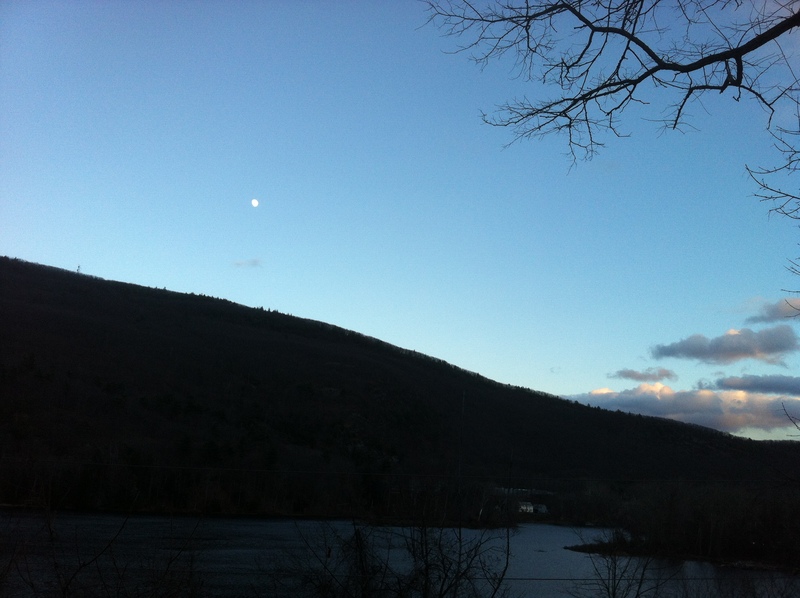 Luna sails clear of the eastern horizon; Wantastiquet’s flank dips south to the river under the last flare of the western sun.